Bridgman Hall is one of thirteen residence halls. It is located on upper campus near fitness facilities and transportation stops. 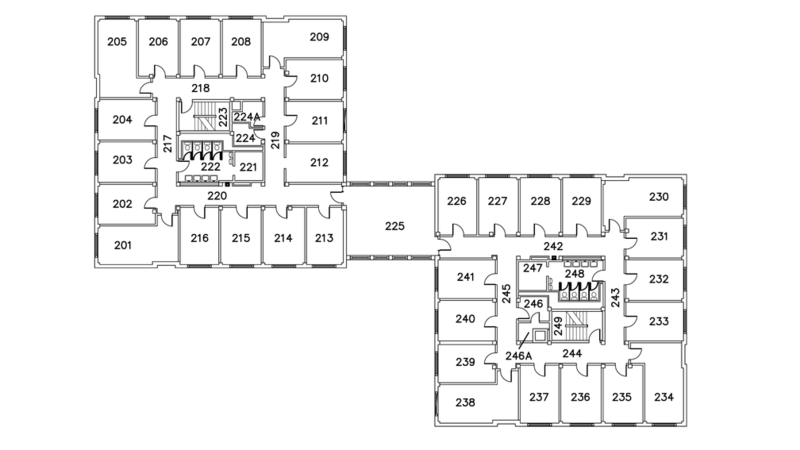 It’s an all co-ed dorm with amenities to make your time at UW-Eau Claire enjoyable. Bridgman is home to various study lounges, designated substance free areas, and a fully furnished kitchen for resident use. 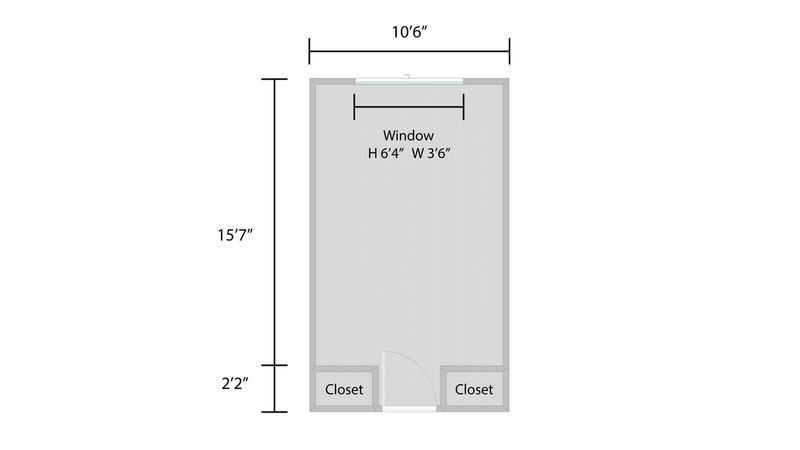 Room sizes are approximately 15' 7" x 10' 6"
Fourth floor is a Chemical Free Area. Individuals of all age live in a substance free environment. Bridgman is home to the University Honors Living Learning Community that eligible Blugolds can join on a first come, first served basis. Led by dynamic Honors RAs and Honors Living Learning Programmers, the community is the center for the vibrant intellectual, cultural, and social life of the University Honors Program. Classes, films, discussions, and even parties will be hosted by the Honors Living Learning Community. Members will enroll in a minimum of three Honors course credits per semester and participate in the University Honors Program. All Bridgman residents are invited to participate in Honors Living Learning Community events if they are interested in participating!